If you are a current or former employee of the Commonwealth Bank Group and you are looking for private health insurance for the very first time, or want to switch from your current provider, then CBHS Health Insurance might be the right choice for you. What follows is a comprehensive CBHS health fund review, focusing on the cover they provide, their benefits, and member discounts. Use this assessment to your full advantage to determine if they’ll be able to cover what you need, whether they offer true value for money, and if they exclude cover for anything that might be important to you. It’s also a good idea to compare other health insurance companies so that you can be absolutely certain that CBHS Insurance is the right fit for your unique requirements. ComparingExpert does not currently have access to this provider. Visit www.cbhs.com.au to request a quote and compare their price and benefits to the Australian private health insurance companies we have access to. Who is CBHS Health Fund? CBHS was founded in 1951 and is Australia’s third largest restricted private health insurer with over 200,000 members. They specialise in providing affordable Hospital, Extras, and Package Cover exclusively to those working for or who used to work for the Commonwealth Bank Group (CBA) and its subsidiaries. Who is eligible to join CBHS insurance? Current permanent employees and contractors. Former permanent employees and contractors. Extended family members, including parents, spouses/partners, adult children, siblings, and grandchildren and their families. 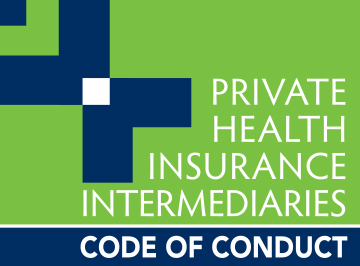 CBHS offers Hospital Cover policies, Extras Cover policies, and Package Cover policies. You can decide which option best suits you and your family or alternatively select one of their Lifestyle Cover categories and they will recommend policies based on your selection. Hospital Cover: From affordable entry-level policies to more expensive cover that offers complete peace of mind, these policies will give you access to private hospitals, your own choice of doctor, and great health and wellness programs. Hospital Cover options include Basic, Limited, Active, and Comprehensive Hospital Cover. Extras Cover: With Extras Cover you get benefits for dental, prescribed optical, therapies, general health, healthcare aids, and wellness services. Extras Cover options include Essential Extras, Intermediate Extras, and Top Extras Cover. Package Cover: You can choose a ready-made package option that combines Hospital and Extras cover, ensuring you and your family’s health is taken care of. These four Package options include FlexiSaver, Kickstart, StepUp, and Prestige Cover. Lifestyle Cover: Because the four lifestyle options include policy recommendations for Single, Couple, Family, and Single Parents, you will find policies that are tailored to your specific lifestyle. You need hospital insurance to cover all kinds of in-patient procedures, and CBHS offers four simple hospital policies, all of which will help you cover the costs related to these services, from pregnancy to and brain surgery. Is This for Me? Great for the young, healthy and budget-conscious person. You’ll be covered for the basics. Budget-friendly option with mid-level cover that offers restricted benefits for certain services. Offers high-level cover to young professionals and those without children. Top-level cover, perfect if you need cover for an extensive range of health services, including pregnancy. CBHS offers three different Extras Cover policies, with different limits and features depending on which option you choose. It’s important to examine all the features, limits, and benefits of each policy to make sure you choose the best option for your specific needs. Is This for Me? For healthy individuals who have no real need to visit healthcare service providers. With higher limits, you get more access to dental, general therapies, and optical treatments. Gives you access to comprehensive treatments and services. (Includes annual check-ups, minor fillings, teeth cleaning, x-rays, etc.) Restricted access with 70% cover and an overall $170 limit. Restricted access with 70% cover and an overall $675 limit. Unlimited access with up to 70% cover. (Physio, chiro, osteo, massage therapies, dieticians, etc.) Covers 70% with an overall $200 limit. Covers 70% with an overall $300 limit. Covers 70% with larger overall limits, reaching up to $1850. Limited access with up to 70% cover. Covers 70% with larger overall limits, reaching up to $1600. Restricted access with 70% cover and an overall $675 limit. Covers 70% with larger overall limits, reaching up to $3000. (Prescription glasses, contact lenses, and frames.) $200 annual limit with up to 70% cover. $250 annual limit with up to 70% cover. $375 annual limit with up to 70% cover. (Covers 90% of the cost of health checks, and includes access to health management services, like Yoga, Pilates, and gym memberships, stress management programs etc.). CBHS has neatly bundled the best of their Extras and Hospital Cover treatments and services into 4 Package Cover options. Is This for Me? Cost-effective with entry-level cover that excludes cover for services you’re unlikely to use, like pregnancy cover. An affordable, basic package for the young and healthy. Mid-level cover that’s best suited for those planning a family. The highest level of cover with generous Extras Cover benefits, including major dental and pregnancy services. Best Doctors: A network of leading expert specialists to review your medical case. Choice Network: Gain access to no gap services through this network of providers. Health Management Program: Telephonic advice and support to help you become healthier, for example, if you have a chronic illness like heart disease or diabetes. Hospital-in-the-Home: Known as a Hospital Substitute Treatment, this benefit gives you to option of staying to recover from treatments or rehab. Gap Assist: To help you reduce your out-of-pocket expenses because of hospitalisation, certain policies include this medical gap benefit, which provides $200 per person per calendar year towards out-of-pocket expenses. Member Discounts: Discounts on gym memberships, eyewear and contact lenses for a range of optical suppliers, and for a range of other health services, like Yoga and Pilates. Support Aids and Appliances: CBHS will pay benefits towards a wide range of hearing aids, healthcare appliances and other supportive wear or a monitoring devices. Support Groups: Support is a necessary part of your journey, which is why CBHS offers access to support groups for people who suffer from a similar health issue to you. Wellness Benefits: Generous benefits on health checks, which includes breast exams, bone density tests, skin cancer screening, bowel/prostate cancer screening and more. Zero Co-Payments: You won’t have co-payments for children when they are admitted to hospital. Hospital services that you use within the policy waiting period. Nursing home fees or respite care. Medicine that is considered “take-home/discharge drugs”. Services and treatments that relate to assistances not covered with your policy. Services obtained more than 24 months ago. Treatments and services that you obtained from outside of Australia. Prostheses that are used for cosmetic reasons and where no Medicare benefit is payable. Treatments provided to you by a family member or business partner. Services or treatments for which you cannot provide itemised and original receipts. If you claim for Extras procedures but have already exceeded the limit. Services or treatments you receive while your membership is suspended. How easy is it to claim from CBHS? Swipe your membership card and the benefit will automatically be deducted from the total cost. If you use a Choice Network healthcare provider for dental or optical services, you might not have to pay out-of-pocket expenses. Claim online and receive benefits within one to two business days. Simply log on to the CBHS Member Centre, enter the provider number, select the service type, confirm your payment details, upload your receipts, and submit your claim. Download a manual claim form from the CBHS website, fill it in and submit it via post, email, or fax, together with your fully itemised receipts and claim forms. Is the Commonwealth Bank Health Insurance a good choice? There are several advantages to joining a restricted health fund. The main one is that, because they are run solely for the benefit of members, all profits are returned to the fund in the form of lower premiums and better policies with greater benefits. Not-for-profit funds also tend to return a higher percentage of premiums to their members compared to open health funds, so if you think you may be eligible to join such a fund, it may be worth your while to investigate further. Does CBHS Health offer ambulance cover? To successfully claim for these services, the transport or treatment must be provided by a State Government ambulance service or a private ambulance service that is recognised by CBHS. Can I save money on a gym membership? Yes, all CBHS Extras policies include a Wellness Benefit that covers gym memberships with a limit of $115 per year. There is also an annual $100 sub-limit for personal training. Take note, they will only pay a benefit for your gym membership if it is part of a health management program, which you can confirm by downloading an ‘Approval Form’ from the CBHS website and getting your GP or a recognised provider to certify that this is the case. If you’re looking for a health insurance policy that gives you the cover you need, for a price you can afford, it is worth shopping around and comparing health policies. Hi, in your opinion, do you think CBHS is a good health fund? I am looking at the comprehensive hospital and top extras. Whether CBHS health insurance is a good health fund for you depends on your specific requirements and budget, one size does not fit all. It might be worth it for you to compare CBHS with other top private health insurance companies to determine which one offers you the most value. I suggest you have a read of our best hospital and extras health insurance article with its step-by-step guide on how to choose the right health insurer. I currently have BUPA Top Hospital with $250 excess and Classic Extra for a single woman aged 69 living in Queensland. Premiums currently $95.65 per fortnight. What is the equivalent cover through CBHS? It’s best to fill in the quote form above and speak with a specialist because each health fund is so different, it’s not like comparing apples to apples. You can also call directly on 1300 786 328.